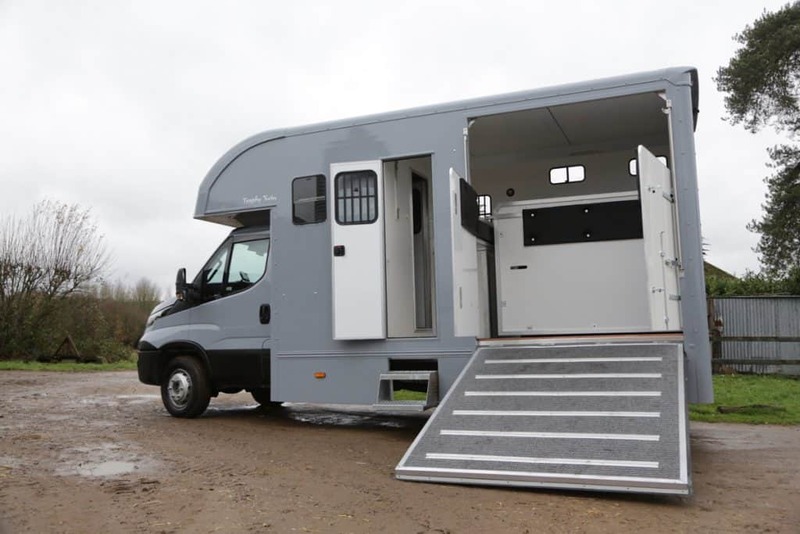 The Trophy Twin Short Wheel Base (SWB) is a compact side load, forward facing horse box able to carry two big horses whilst remaining easy to drive. 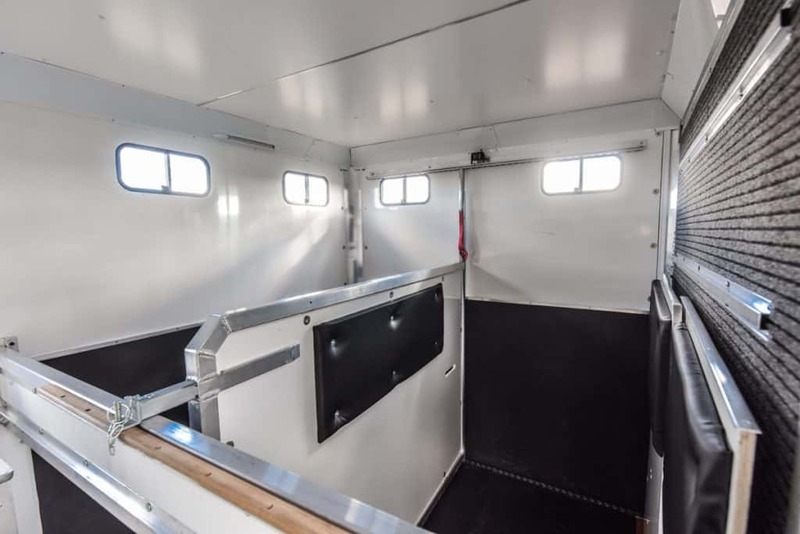 It comes with fully fitted integral day living and a generous side external tack locker coach built with all new materials to a very high standard. 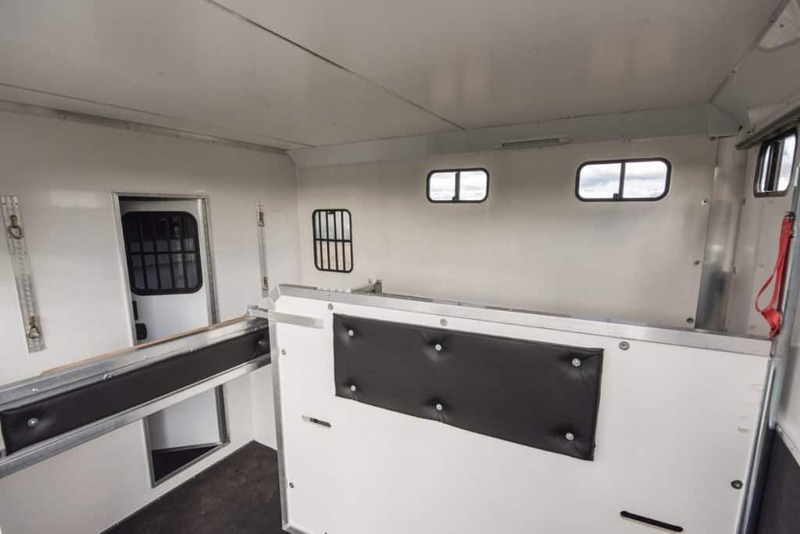 This horse box is particularly suited to those requiring day living, good payload for two horses and a horse box that is easy to drive and manage on your own. 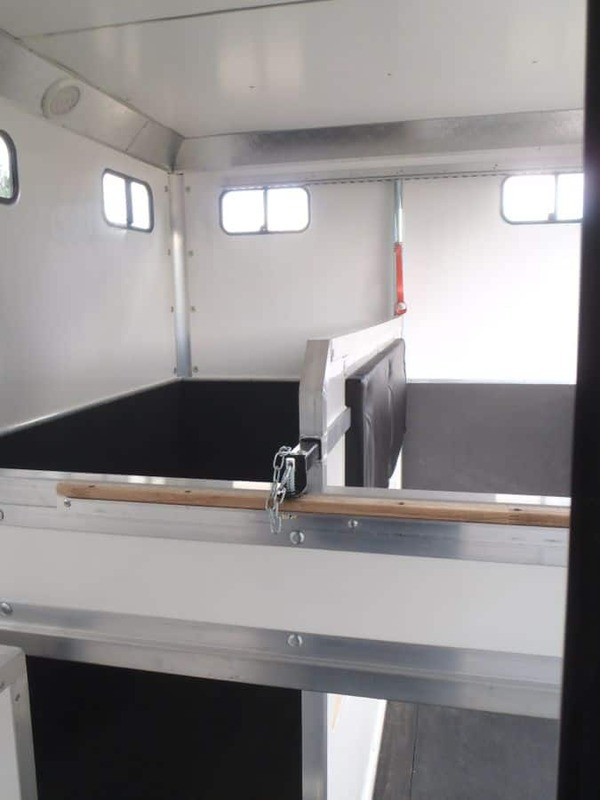 A slightly larger version of the Trophy Twin is available built on a long wheel base. 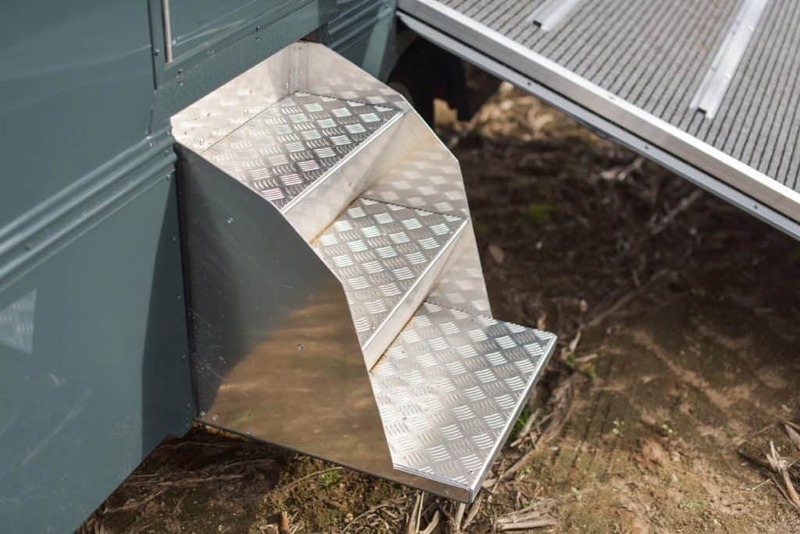 As part of our policy to continually update the product range, we reserve the right to modify any specifications as may prove necessary. 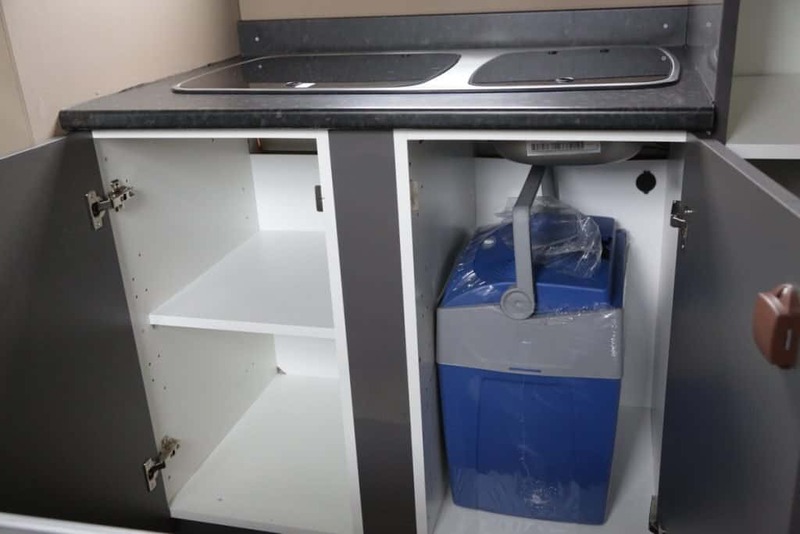 We will be pleased to answer any queries on this matter and confirm current specifications. 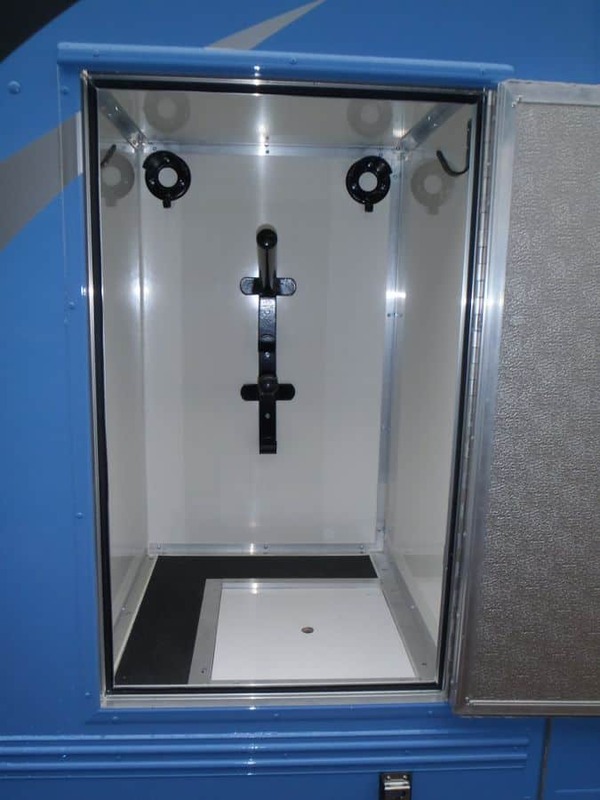 All dimensions and weights are approximate and intended for guidance only. 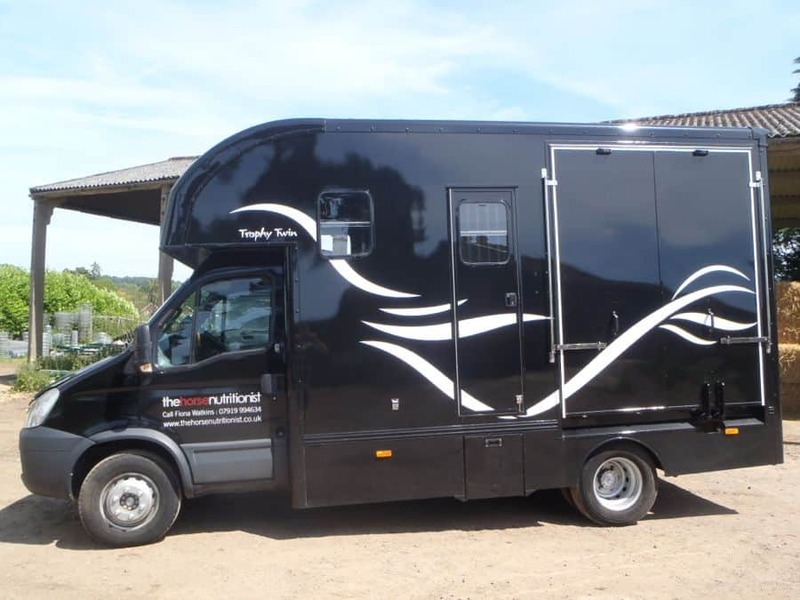 We are delighted with our new horse box from Peper Harow. 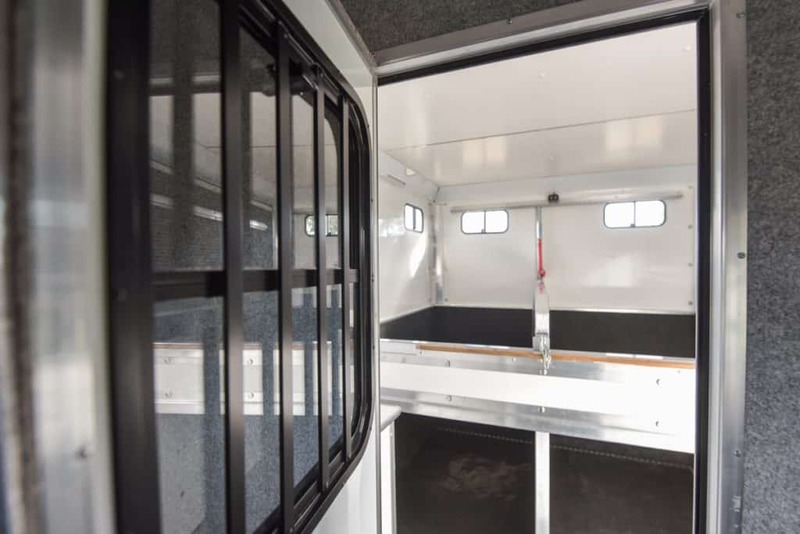 The build quality is exceptional and in terms of securing a chassis and giving us exactly what we wanted nothing was too much trouble. The team were extremely patient and listened to everything we said to them. 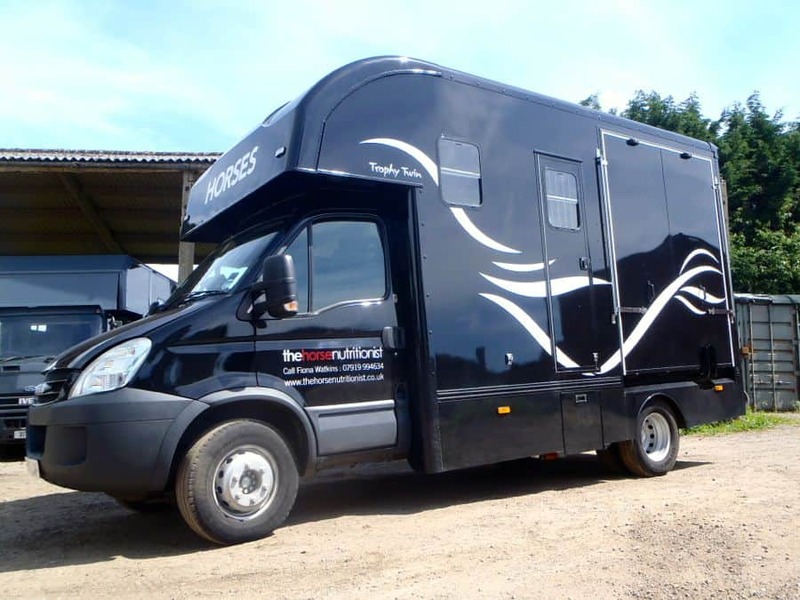 The horse box perfectly fits our needs and has been bought with the intention of keeping it for 15 years plus. I can thoroughly recommend them. My horses and I absolutely love our Peper Harow Trophy Twin SWB. Starting with my research I found the Peper Harow website very informative, giving an excellent description of the product, so I knew exactly what I would be getting. 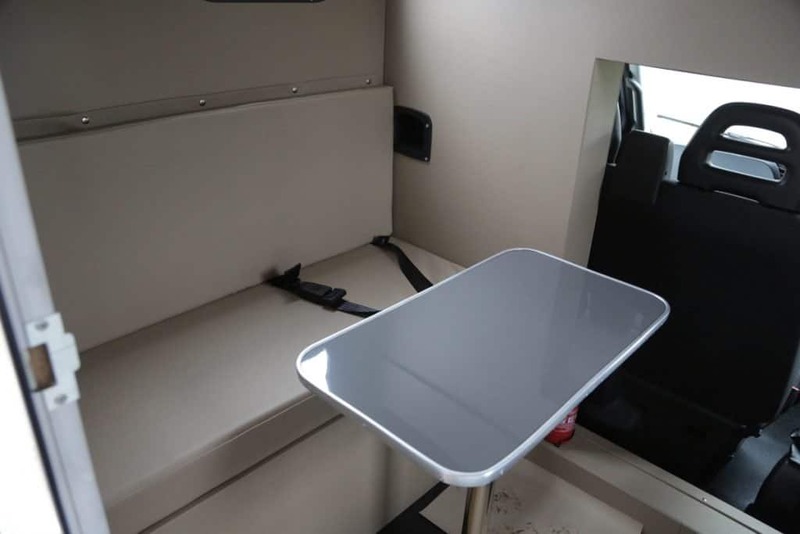 I was impressed with the attention to detail and the well thought out layout of the Trophy Twin. 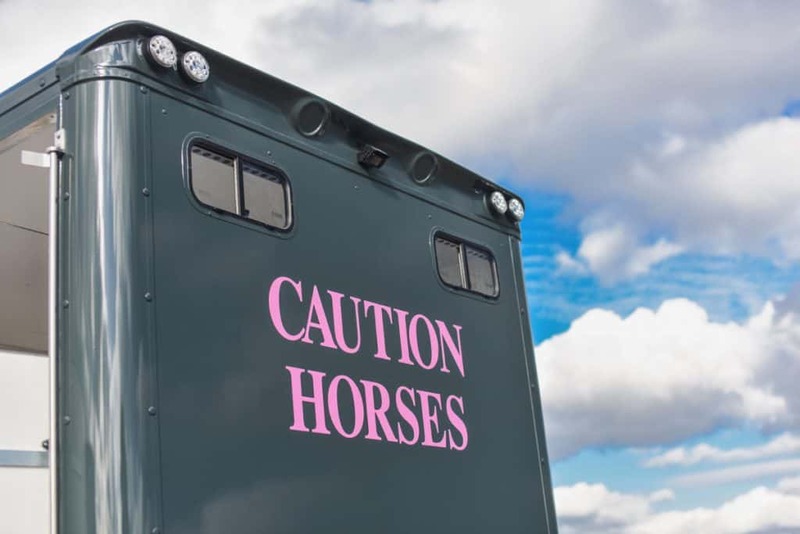 Personally, I liked being able to go from the cab through to the horses. 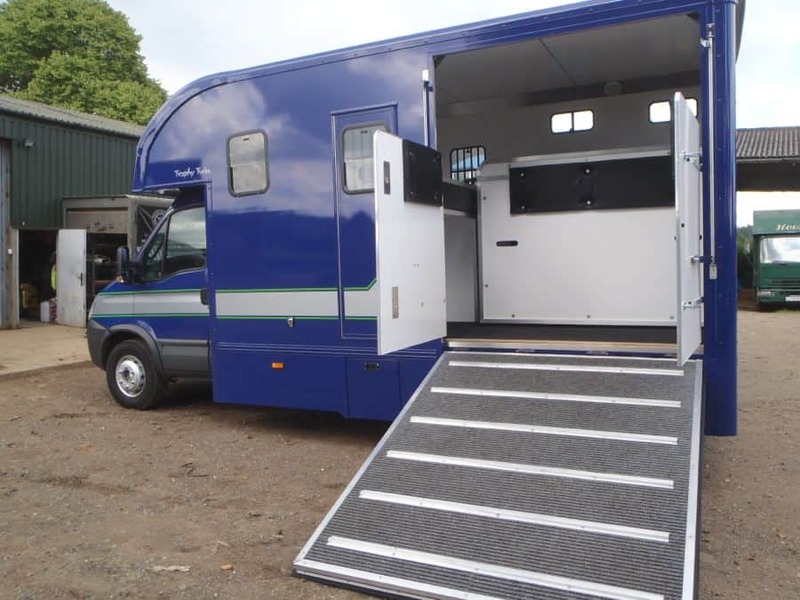 At our first meeting Julia was very open, accommodating and helpful in our viewing of the horseboxes which included a test drive on the chassis that I was having my box built on. After placing the order Julia kept me up to date on the build progress and was very patient with my indecisiveness on the paint colour! 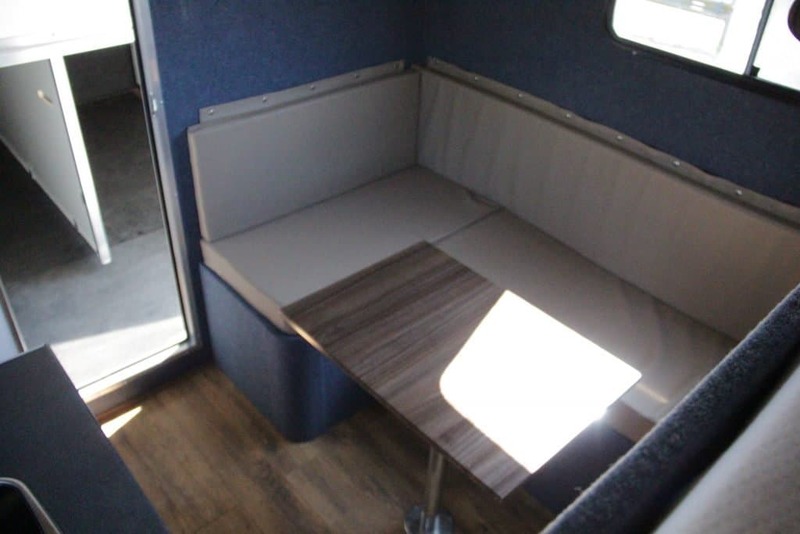 The horsebox was built and ready for collection in the quoted time frame. 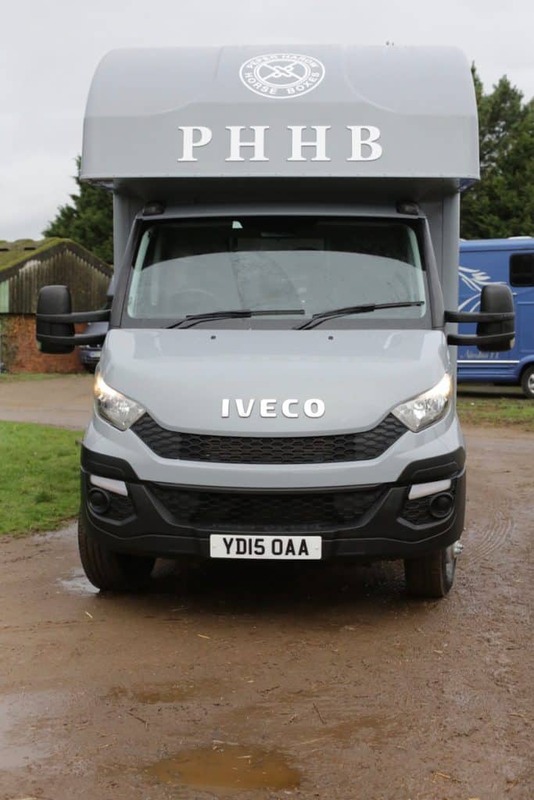 The whole purchasing process was very smooth and easy and I am extremely pleased with my Trophy Twin, my horses travel so well in it and there is loads of room for my 17.2hh warmblood. 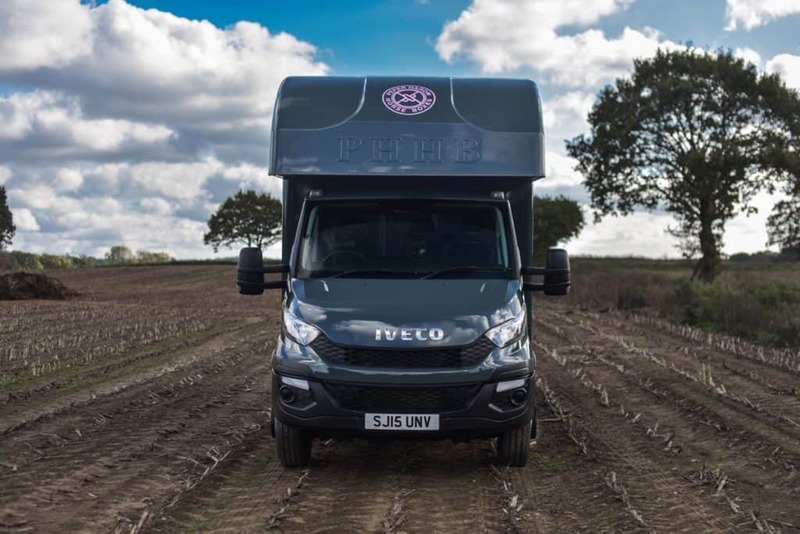 I can see why secondhand Trophy Twins are like hen’s teeth to find, at 6.5t they are the perfect size and so user friendly. 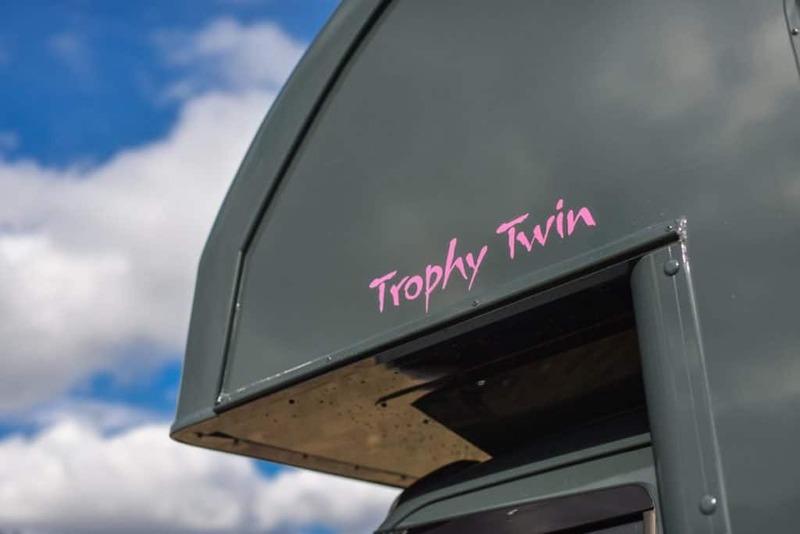 I absolutely love my newly built Trophy Twin. 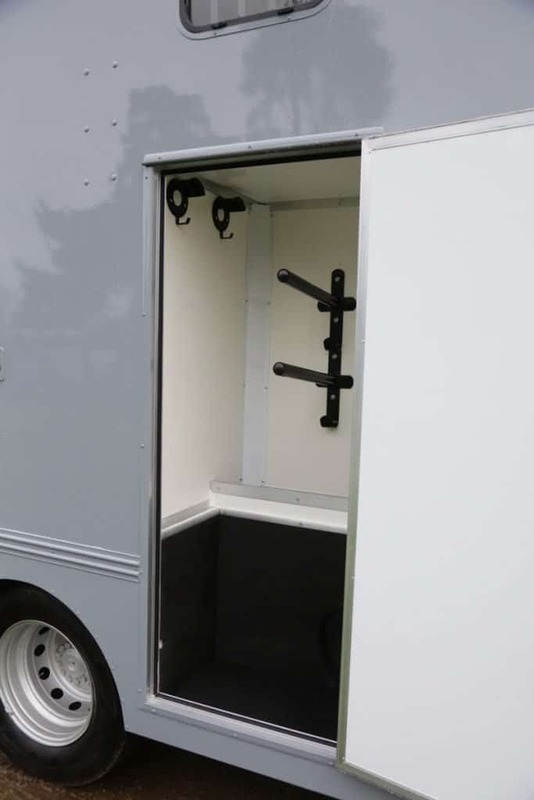 It combines great looks with fantastic practicality and ingenuity. 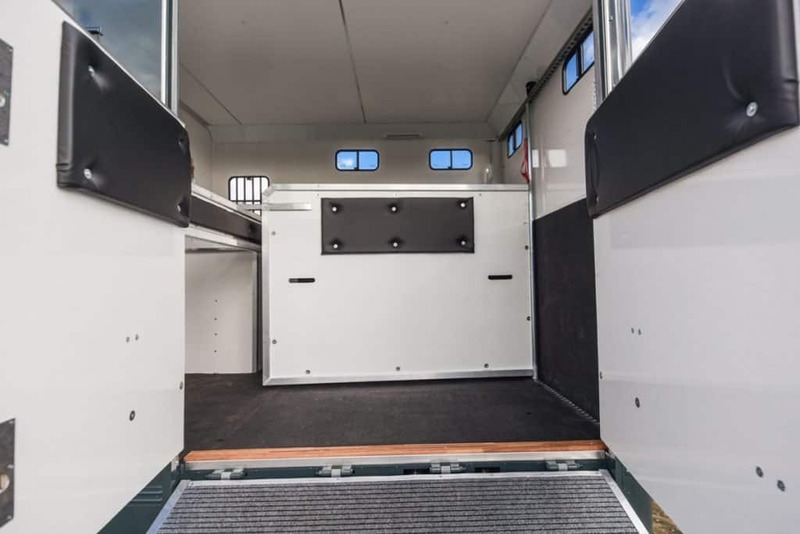 There is no compromise at the expense of the horse area which is large, airy and secure, yet the use of the space in the living and tack locker is optimised. 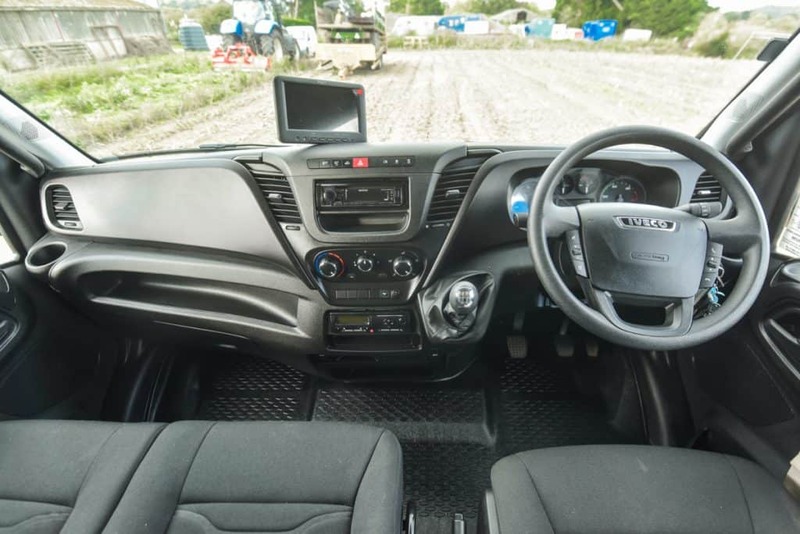 A fantastic compact lorry you don't wish was any bigger. 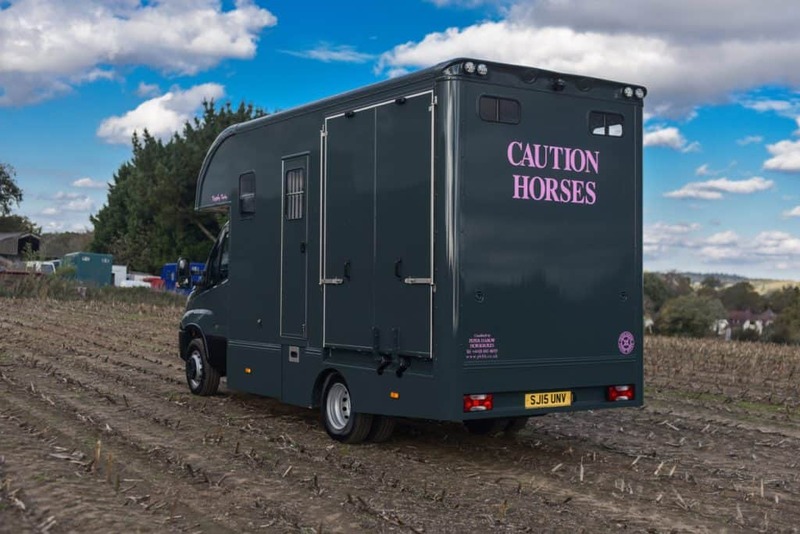 Given the vast array of options available, buying your first horsebox can be very daunting, especially for non-horsey parents 'blessed' (or 'cursed') with a horse-mad daughter. 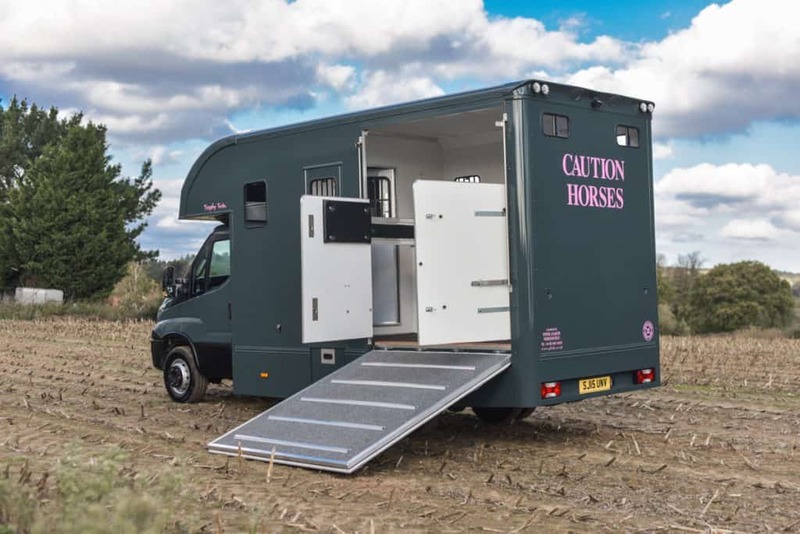 Reassured by the number of Peper Harow horse boxes I saw on display in a Pony Club field, I called Julia to take my first steps on the road to ownership. 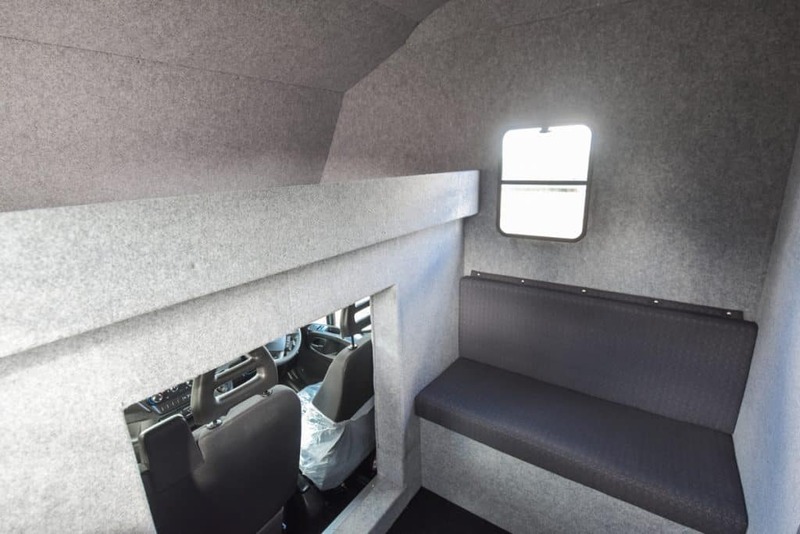 From the very first conversation, Julia patiently answered all of my questions and was a calm, reassuring presence through the many twists and turns of our buying process. 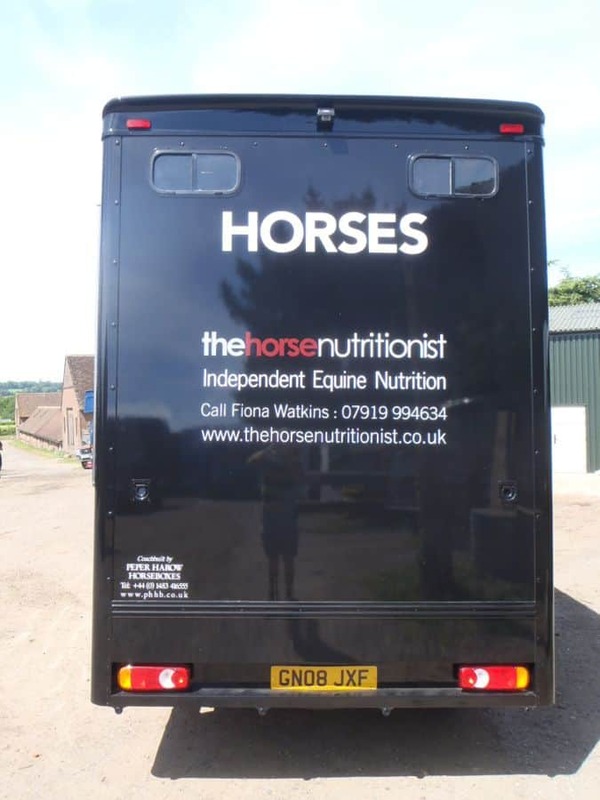 Six months on, we are delighted with our horsebox...a big thank you to Julia, Adam and the team. 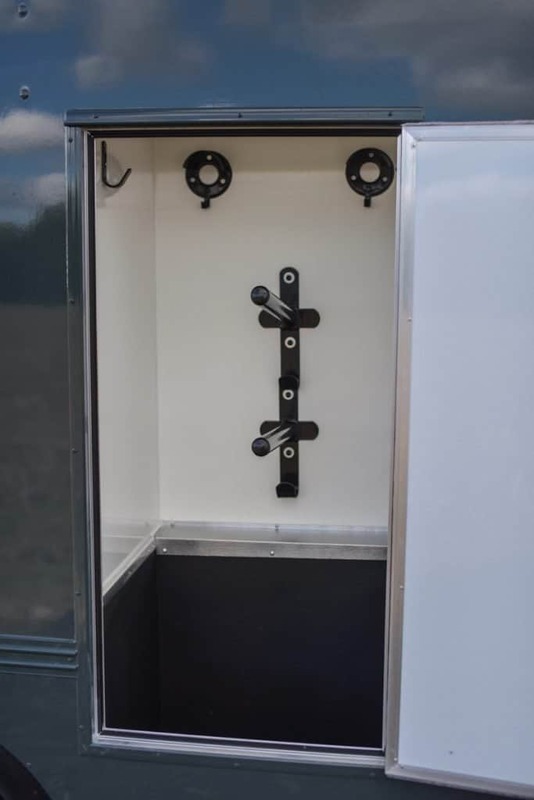 Just to say how delighted I am with the lorry, the build quality and speed of service was excellent, the attention to detail was terrific, even the pins had holders to stop any noises. 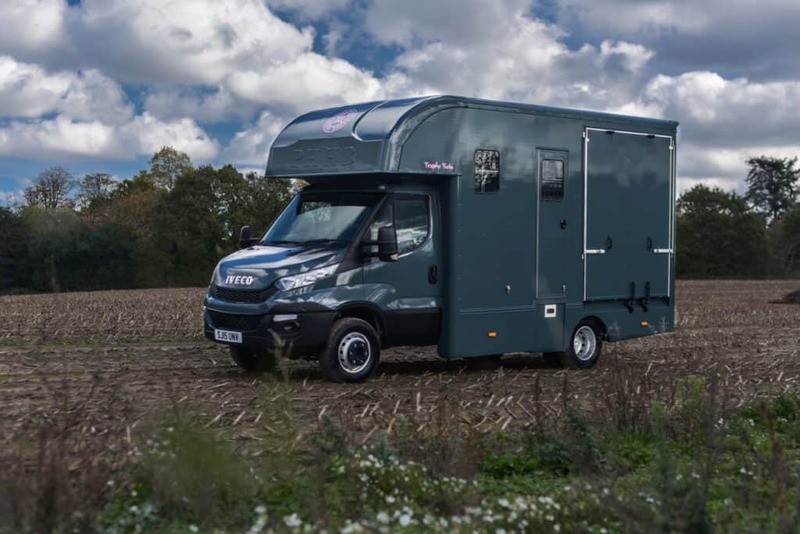 I would not hesitate to recommend the Peper Harow Trophy Twin to anyone who wants to travel the largest of horses in comfort, with the added security of having a twin axel. 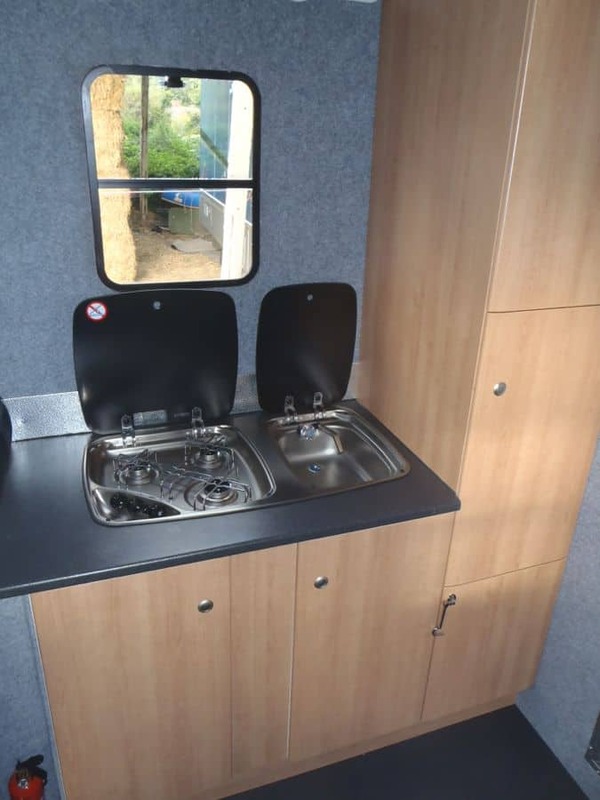 With plenty of room for equipment too!